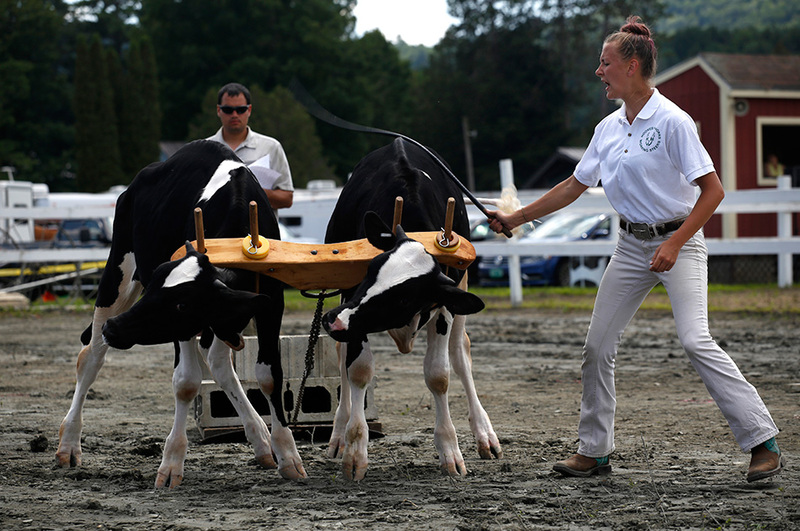 While the Bradford Fair in Bradford, Vt., was in full swing, I spent the day for the Valley News photographing a group of 4-H teamsters with their working steers in the first of three qualifying events to go to the Eastern States Exposition in Springfield, Mass. Their attention to detail and intensity of the competition was very impressive! Follow this link to see the story and more photographs. 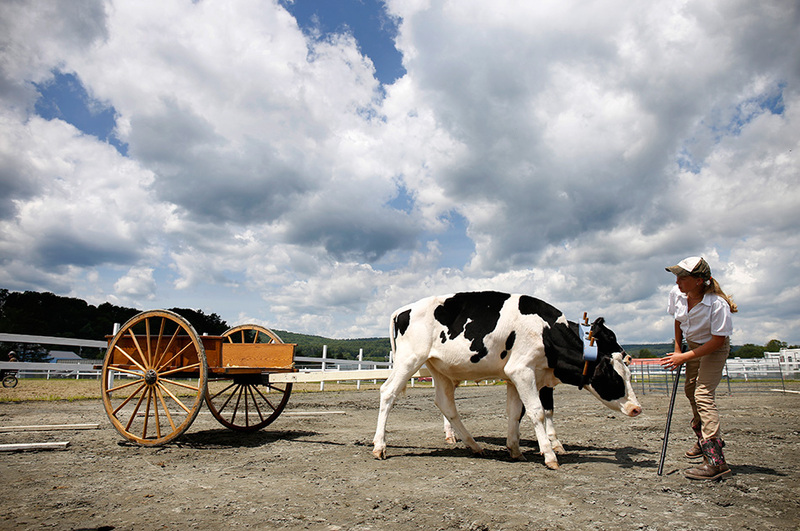 From top, Krystin Skoda, 17, of Randolph, Vt., applies hoof polish to Mike, an eight-month-old Holstein steer, while preparing for the working steer 4-H show at the Bradford Fair in Bradford, Vt.; Megan Taylor, 10, of East Randolph, Vt., encourages her Holstein steers Salt and Pepper to back a cart into a determined space in the competition. 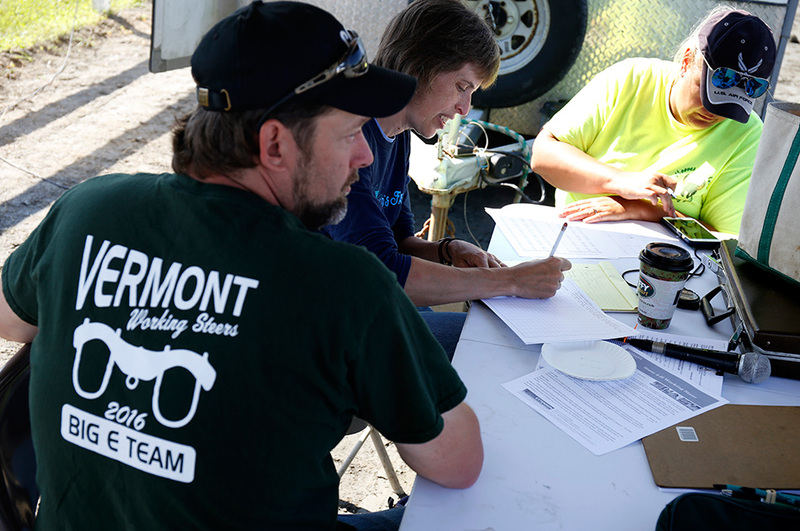 It was Taylor’s first time showing her one-year-old steers at a fair and she was competing for the experience; From left, Steve and Terri Chamberlin, of Pomfret, Vt., and Deb Skoda, of Randolph, prepare paperwork for the competition. 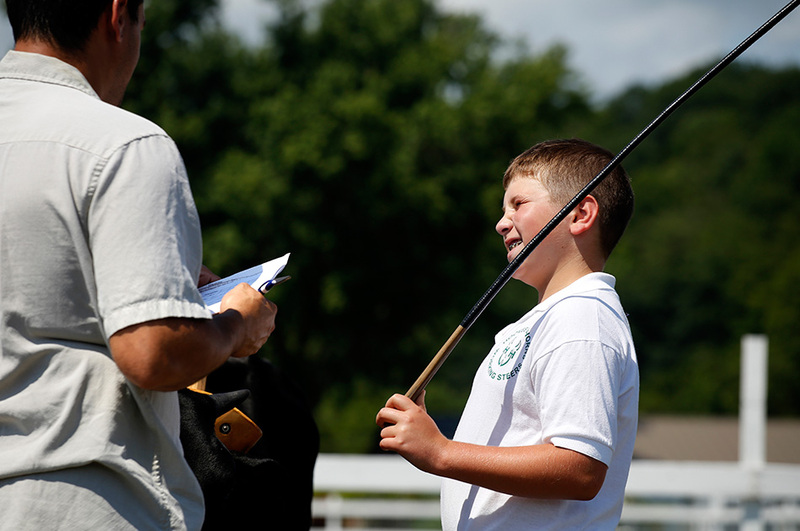 Terri Chamberlin and her father have been running the Green Mountain Teamsters working steer 4-H club since 1990; Joey Ferris, 11, of Northfield, Vt., is tested on his knowledge of working steers by judge Dan Fantoni, of Fairfax, Vt., during the Junior Division fitting and showing portion of the show. 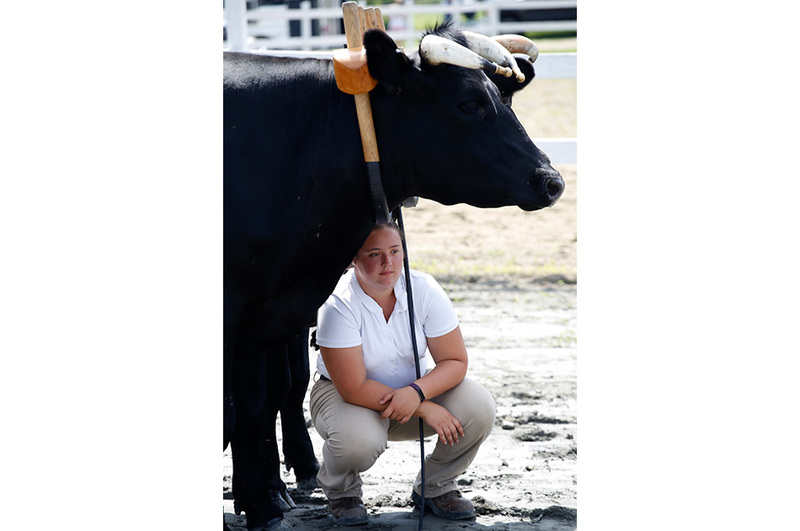 Ferris has been involved with working steers for three years; As Fantoni watches, Skoda encourages her young Holstein steer team of John and Mike to pull the stone boat; Analiese Morvan, 18, of Northfield, Vt., takes shelter from the sun in the shadow cast by her Dutch Belt steer team of Jim and Joe while waiting for results from the stone boat obstacle course. Morvan competed at “The Big E” last year as Vermont’s sole teamster.